Anna (Kristen Bell) and Elsa (Idina Menzel) are getting ready to celebrate their first Christmas since the gates reopenend. Olaf (Josh Gad) wants to do his part, so he enlists the help of Sven to find out about the most important holiday traditions in Arendelle. 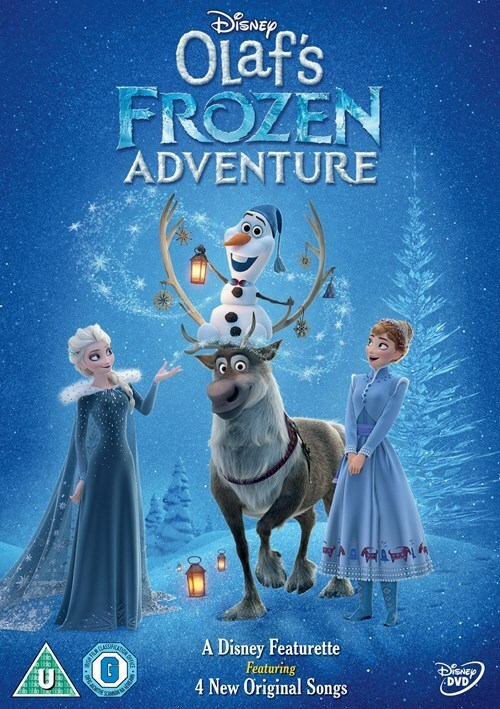 I liked Frozen, but I thought that Olaf’s Frozen Adventure was really bad. The music wasn’t even close to the quality of Frozen, the message of the entire thing was weird and at 20 minutes, it felt so incredibly long, it should have been impossible to feel that long. In short, to say that I disliked it, is putting it way too mildly. This entry was posted in movies and tagged 2017, Brian Kesinger, Chris Williams, Idina Menzel, Jac Schaeffer, John de Lancie, Jonathan Groff, Josh Gad, Kevin Deters, Kristen Bell, Olaf's Frozen Adventure, Stevie Wermers by kalafudra. Bookmark the permalink.